Darren Clarke will make his Senior Open debut this year at Royal Lytham & St Anne’s in July. The 2011 Open champion returns to the links where he finished tied third in the 2001 Open for the over-50’s event. The Former Open Champion said: “I’m looking forward to getting back to Royal Lytham. It’s a very fair golf course, and I went close there in 2001,” Clarke said. The 2019 Open at Royal Portrush takes place from 18-21 July with the Senior Open at Royal Lytham from 25-28 July. 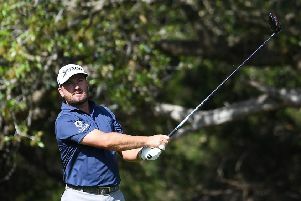 Clarke, who won his Open title in at Royal St George’s, will attempt to join an elite group of golfers who have won both the Claret Jug and the Senior Open trophy in Bob Charles, Gary Player and Tom Watson. “I would love to give myself an opportunity to win the Championship and follow in their footsteps,” said Northern Ireland’s Clarke. The 50-year-old will be one of a host of former major champions, Ryder Cup captains and European Tour winners in action at Royal Lytham. He will join fellow former Ryder Cup captains Bernhard Langer, Paul McGinley Colin Montgomerie and Ian Woosnam in the field, as well as defending champion Miguel Angel Jimenez, who won at St Andrews.